They say that White Sands National Park is "like no place else on earth" and after visiting it many times, I cannot disagree. It's an eye opening phenomenal that leaves you in awe with the amazing landscape. It's in the middle of nowhere, rising from the heart of the Tularosa Basin in New Mexico and it is one of the world's great natural wonders. From wave-like dunes consisting of gypsum sand, it encompasses 275 miles of desert. 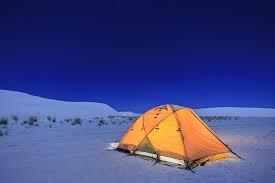 You will not find a larger gypsum dunefield in the world. Not only is it picturesque but it provides many opportunities to make great memories from camping to trail walking to star gazing and most importantly, sledding! This is truly a highlight of White Sands. 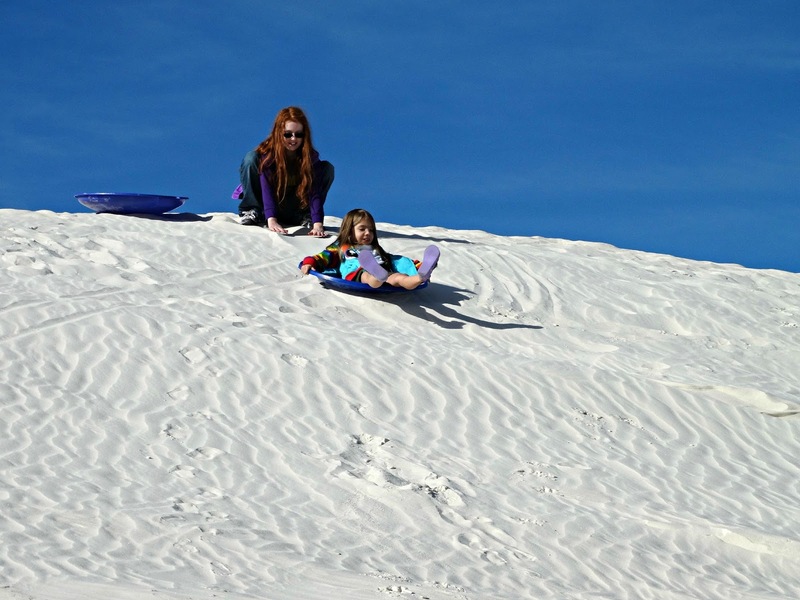 Just find a dune and either bring your own sled or you can purchase or rent one at the visitor center. We have been sledding many times and accompanied my family to the site as you can't go anywhere near this location without taking the trek to visit. My family had a very memorable time and still continues to talk about it years later. One of the events that I did not get to participate in are the one hour guided sunset strolls. The guides provide information on the geology, plants and animals that you might encounter. They have Junior Ranger programs for the children and many more events for the whole family. One thing to note, they do close the park when there are missile tests by nearby White Sands Missile Range so make sure you check the park alerts before heading out! 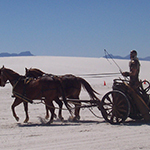 Over 10,000 years ago the first people came to White Sands National Monument in search of food, water, and shelter. In more recent times, Spanish explorers and miners came to the basin in pursuit of salt, gypsum, and other resources. Ranchers also took advantage of the expansive grasslands in the basin until the bombing of Pearl Harbor during World War II, which caused the U.S. Military to see the value of using the basin for scientific research and technological development. 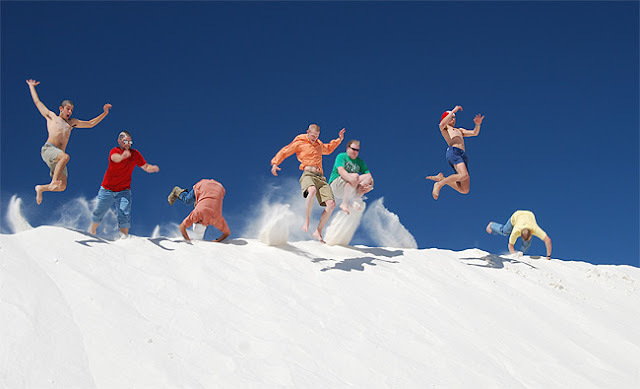 Each generation of visitors to the Tularosa Basin and White Sands National Monument have left their mark. Today monument visitors can experience some of the most iconic historic places associated with the basin’s rich history. These places include the monument’s historic district, which is listed in the National Register of Historic Places, as well as the historic Lucero Ranch on the western shoreline of Lake Lucero. 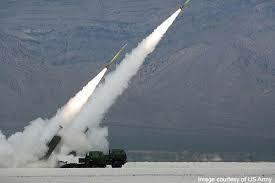 Visitors interested in learning more about the Tularosa Basin’s military history can also visit the White Sands Missile Range Museum and Trinity Site, the place where the first atomic bomb was tested in 1945. Stories passed down from one generation to the next capture the monument’s rich history and the many accounts of people who have worked here. These stories include the legend of La Pavura Blanca and firsthand accounts of what ranching life was like on the range in the early 1900s. Park rangers also tell their stories about being employees for the National Park Service and what it is like to work at White Sands National Monument. Scenery that is never the same twice, colorful sunsets, and the brilliant night sky is an inspiration to many different artists worldwide. 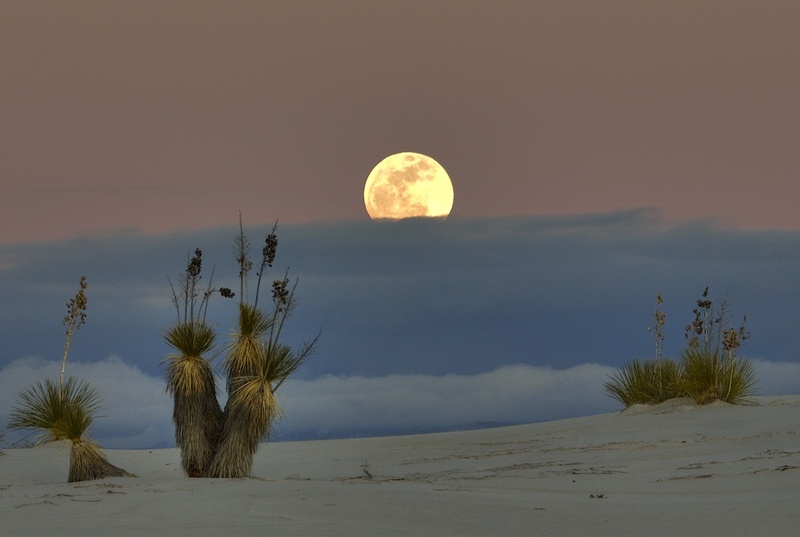 Did you know that White Sands National Monument has been the backdrop for many feature films, music videos and commercials? The bright white sands, blue skies, and picturesque mountains provide the perfect setting for commercial filming, photography, and various other art forms. If you are able to stay for a couple of days, there are many attractions to see nearby such as the New Mexico Museum of Space History and IMAX Theater which is located in Alamogordo only 19 miles from White Sands. 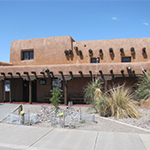 Alamogordo has an abundance of restaurants and hotels to complete your stay. If you like to camp and already camped at White Sands, you can continue your journey to the Lincoln National Forest that is located in the Sacramento Mountains just east of Alamogordo. We visited the Mescalero Apache Indian Reservation that had outdoor adventures from hunting, fishing, hiking, clay shooting and biking opportunities. My girls enjoyed picking out their very own Indian made mementos.